New Delhi, August 2018: International Travellers at Indira Gandhi International Airport, New Delhi can now gorge on lip smacking delicacies as it gets its fourth Dilli Streat outlet at International Food Court T3. Travel Food Services, India’s leading Travel Food and Retail company, announced the launch of the new restaurant under its brand Dilli Streat, making it the fourth Dilli Streat outlet at the Airport, with the other three being at International Piers T3, Domestic Forecourt Arrivals T3, and Domestic SHA T3. Within a short span of time, it has become a place to visit to taste delicious street food with an extensive menu focussing on popular local Delhi food. The menu for Dilli Street reflects the old charm, yet captures the essence of the melting pot that is the capital city. A meal at any of the four Delhi outlets is an introduction to Delhi’s iconic street food, chronicling the history and culture that influenced it. An attempt at providing a glimpse into the food items from Chandni Chowk to Majnu Ka Tilla, travellers can enjoy delicacies ranging from Butter Chicken to Momos, from a variety of Tikkas to an array of chaats, and more. 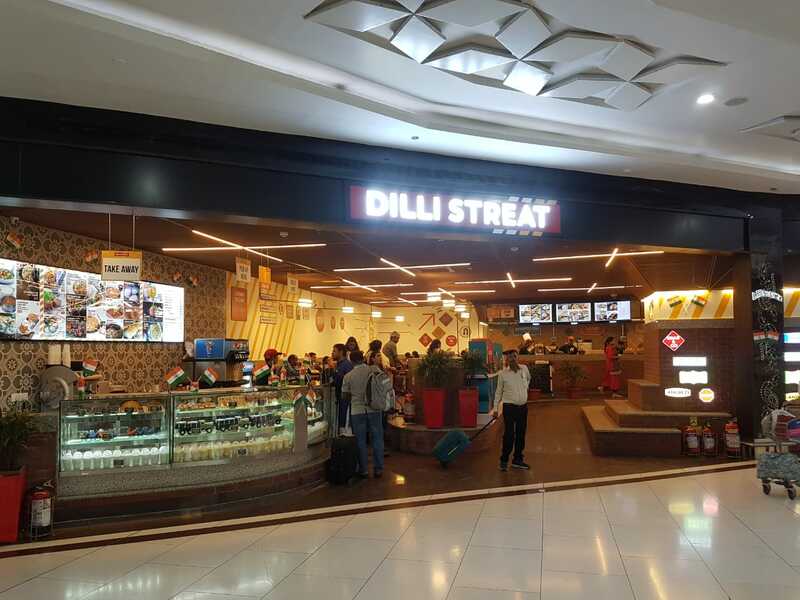 Dilli Streat offers everything fromquick bites to sumptuous meals to fit every budget. The Dilli Streat Bar at International Piers T3 also hosts an extensive bar to travellers. Dilli Streat caters to one of the busiest and multiple award winning airport, which recently tied with Mumbai as the best in APAC in terms of passenger experience (by the Airport Service Quality 2017 rankings). Travellers can visit any of the four Dilli Streat Outlets at these locations – Dilli Streat Bar at International Piers T3, Dilli Streat Express at Domestic Forecourt Arrivals T3, Dilli Streat at Domestic SHA T3, and Dilli Streat at International Food Court T3.